HR case management software helps organizations and HR personnel file, manage, and resolve all employee relations cases and requests effectively and confidentially. Also referred to as HR and employee relations investigation software, these tools standardize and automate manual HR processes to provide support for cases of disciplinary, grievance, or long-term sick leave, to name a few. HR case management solutions assist HR personnel, managers, and employees in submitting, reviewing, and responding to requests. These HR solutions include features that help organizations create custom HR workflows, convert paper forms into digital content, provide reports and dashboards, and more. HR case management products often include application integration tools (APIs) to integrate with a variety of business solutions such as CRM software and core HR software. HR Case Management reviews by real, verified users. Find unbiased ratings on user satisfaction, features, and price based on the most reviews available anywhere. Investigations are complex. We make it easier to manage them. i-Sight case management software simplifies the process of tracking and managing investigations, and gives you the reports you need to analyze results, demonstrate trends and prevent losses. Create new cases quickly and easily, collecting all complaints and case-related information from any intake stream into one central file. Manage investigations with workflow rules that create a logical, structured process and all case information stored in one place. Analyze investigation data using i-Sight’s powerful summary reports that provide in-depth information on trends and areas of risk. ServiceNow Case and Knowledge Management allows you to standardize the documentation, interaction, and fulfillment of employee inquiries and requests, improving HR efficiency and making it easier for employees to get the services they need. 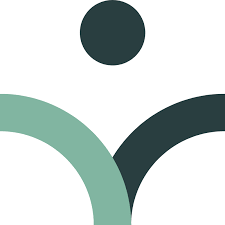 HRCasework is a HR case management solution that allows staff members and managers to record and manage all manner of HR requests from general enquiries to requests to retire. Features include line manager authorizations, storing of associated documents, notes and case contacts in one place. 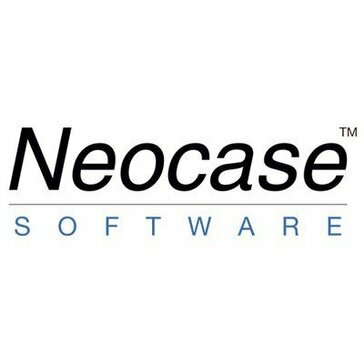 Neocase™ Software is a leading provider of integrated HR and Finance service delivery solutions. It enables large and mid-size organizations to reduce costs, standardize processes and improve employee, customer and supplier relationships. Cherwell HR Case Management manages the employee request process from start to finish. Not only does HR Case Management document all transactions providing a complete audit trail of employee communication with HR it also creates accountability, provides task ownership and workflow and ensures consistent and timely HR service delivery. Empowers you with structure, content, and tools around documentation, investigations, and analytics in ways that provide accurate, reliable, and uniform experiences for your people. All with software that equips you with built-in expertise to make best practice your process. We're committed to putting people first. Our HR Service Delivery platform upgrades the employee experience, improves HR agility and eases compliance management. Benetech is a multi-process services company that offers an array of end-to-end solutions that help our clients reduce cost and increase efficiencies by better managing their benefits and employees. BMC HR Case Management delivers that next-generation service center solution for HR leaders transform HR for the digital era. Deliver amazing service to employees with best-practice templates and workflows and a mobile, digital workplace app that makes your whole workforce more productive. Canary® Whistleblowing System the most effective fraud detection tools. Canary® is a third-party ethics hotline provider that enables the safe, secure, and anonymous reporting of activities involving misconduct, fraud, abuse, and other violations of company policies. Canary® also offers case management service, which provides clients with notifications, analysis and reporting management. We are committed to create a safe, secure and ethical work environment. The reports made in the hotline and associated investigatory records will remain confidential. We offer our whistleblowing services for all companies and institutions located in Indonesia, Malaysia, Thailand and Singapore. Our goal is simple, to provide an affordable answer to employee ethics communication & case mgmt, to compliance training through world class partners. Designed to help your team service more employees with fewer resources, Dovetail Employee Engagement Suite combines HR Case Management, Knowledge Management, an Employee Portal and powerful Reporting capabilities to enable HR to seamlessly manage, document, and report on every employee interaction with HR, centralized into one globally-accessible HR Help Desk. Position your HR team to measure and continuously improve its performance while providing faster, more consistent, and more accurate information to employees. With Dovetail, your HR department has the support and intelligence it needs to provide great service, reduce costs and administrative tasks, as well as streamline key HR processes. A fast and cost-effective way to confidently manage legal questions faced by human resources professionals. Neocase HR Ready is designed to support your service center in its initial stage of automation, expand but also adapt to your evolving requirements. HSE is incident management software featuring Incident Reporting, Tracking,Classification, Investigation & Analysise, Corrective Preventive Action, and Occupational Injury Report. LBi HR HelpDesk is an innovative and comprehensive software solution for automated HR case management and call-tracking workflow management that puts the power in the hands of employees and decreases HR costs by reducing help calls by up to 75 percent. Selenity ER Tracker is a configurable and flexible solution for tracking, recording and monitoring all your HR cases. Built around usability for the end user and configured around your individual company’s HR policy, Selenity ER Tracker improves compliance, increases visibility and reduces your HR case management errors. Turn your paper HR policies into manageable, visible stages and steps; featuring integrated emails, letter templates, reminder and alerts, and real-time dashboards. Discover how collaborative and proactive case management resolves cases quicker whilst reducing case costs and absence rates. Data analysis helps to spot trends and risks to prevent cases before they happen. Awarded HR Product of the Year at the UK Cloud Awards, ER Tracker ensures that HR policies and procedures are followed correctly every time, providing compliant and consistent case outcomes. The servicexpert Suite is a SaaS solution (server hardware and software is provided, hosted, and managed by Unicentric) or as a local solution (installed on customer provided server hardware and software.) where you can configure specialized case management and business applications tailored to each customers needs. Computer Application Services Ltd (CAS) are specialists in complaints management software and case handling systems. Workpro HR case management software has been specifically designed to manage in-depth Employee Relations cases effectively, confidentially and in compliance with process. Hi there! Can I help you find the best HR Case Management solutions?